Hi guys, it’s Jess from Sweetest Menu. I’m an Aussie girl who loves to create America-inspired recipes. And today I have quite the treat for you. 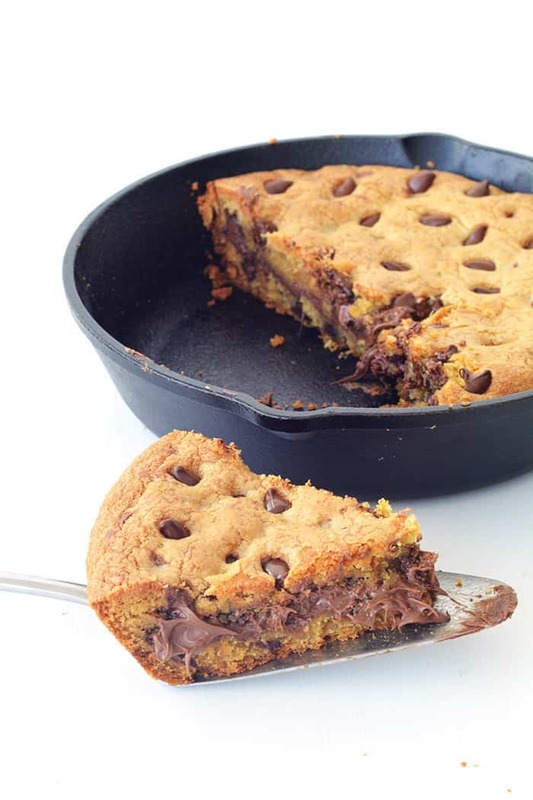 This Nutella Stuffed Skillet Cookie is everrrrything. 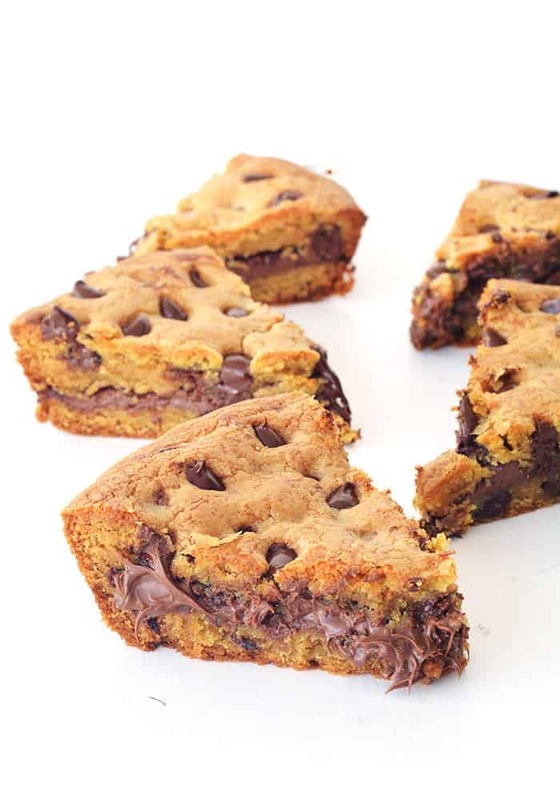 A thick, buttery, deep dish chocolate chip cookie that boasts a secret layer of gooey Nutella. Yes please! 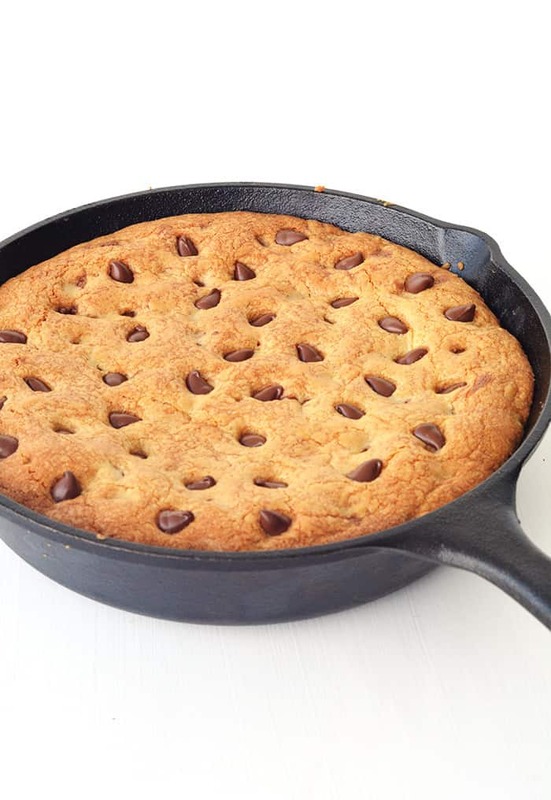 Baked in a skillet, this cookie is golden brown, with a gooey, slightly under baked middle, and crisp melt-in-your-mouth edges. While it is still warm, you can grab a spoon and dive right in to discover ALL that choc-hazelnut filling. And it’s the perfect cookie for sharing. Make it for your next dinner party, pop it down in the middle of the table and let everyone dive right in. You could even add a scoop of ice cream for an over-the-top dessert. I firmly believe there is almost nothing better than a warm chocolate chip cookie straight out of the oven. 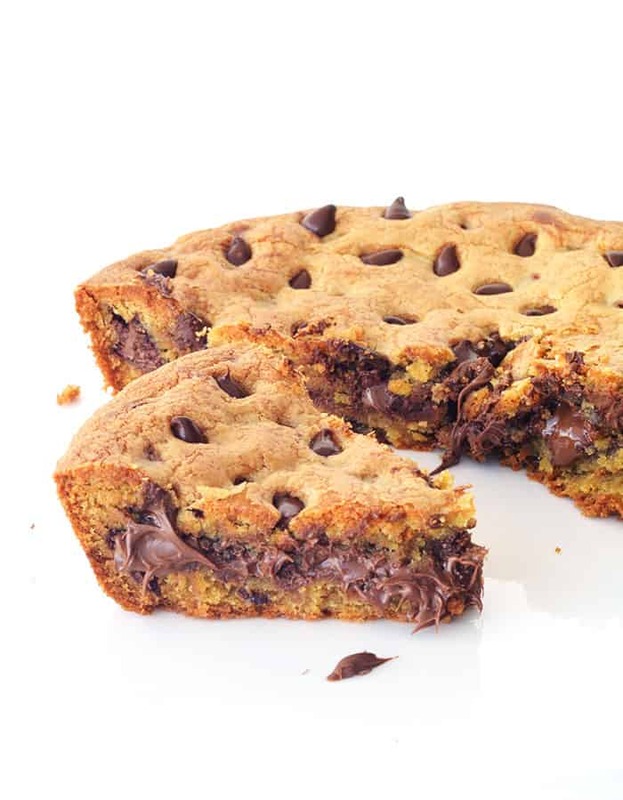 But when you have a big warm slice of chocolate chip cookie that is bursting with Nutella? The best. 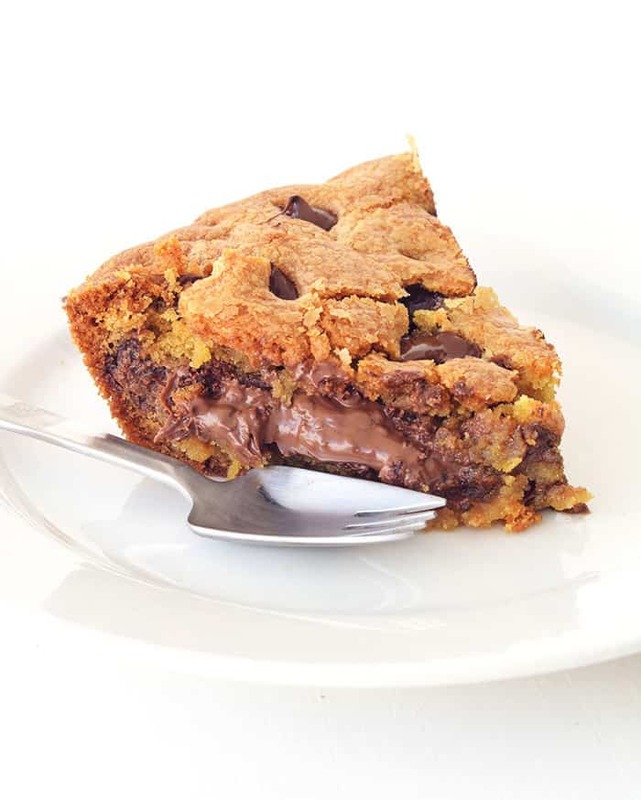 A buttery deep dish chocolate chip cookie with a surprise layer of gooey Nutella hidden inside! Lightly grease an 8 inch skillet with a little butter. Preheat the oven to 320 F (160 C). In a large mixing bowl, beat the butter and sugars using an electric mixer for a minute or two until pale and creamy. Add the egg and the vanilla and beat until combined. Add the sifted flour and baking soda and gently fold using a spatula or wooden spoon. Then stir through the chocolate chips. Divide the cookie dough into two and place half of the dough into your prepared skillet. Press down to form one even layer. Then, spread out the Nutella on top using a small spatula, ensuring you leave a small gap around the edges. Grab small pieces of your remaining cookie dough, flatten them in your hand, and place them on top of the Nutella. Ensure all the cookie dough pieces join together and the layer of Nutella is completely covered. Place the skillet in the oven for 25 minutes or until golden brown. Let the cookie cool for a 10-15 minutes before diving in. This looks so yummy! I love chocolate! Can I bake this using a glass dish instead?